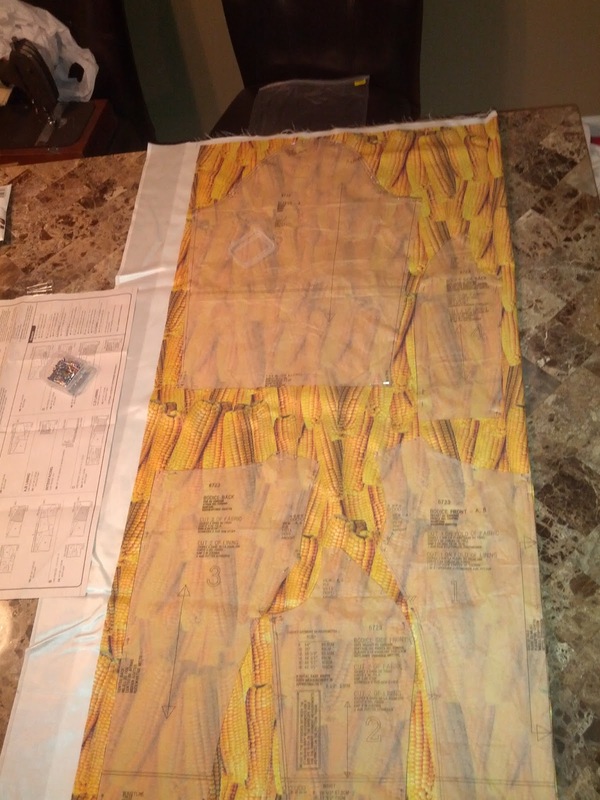 I finally cut into my corn fabric for my state costume for my Mrs. Iowa pageant. 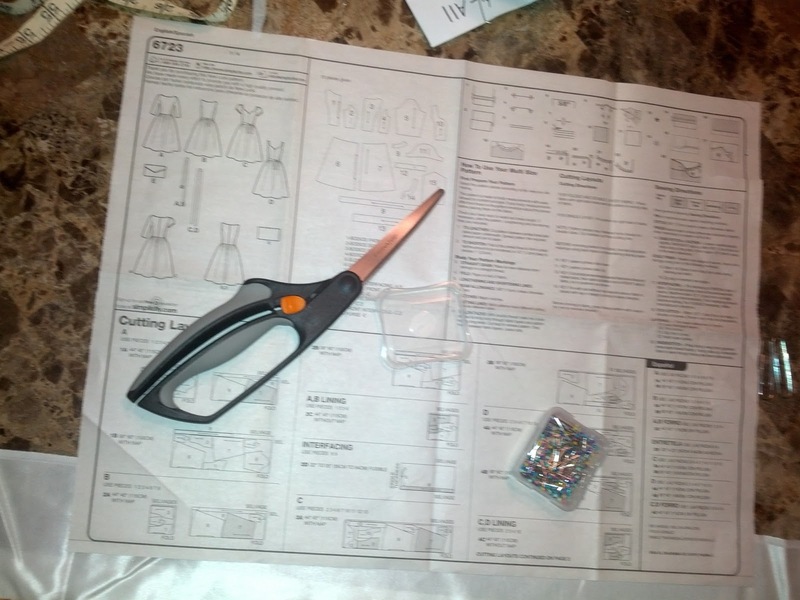 I think that is the most nerve racking part of any dress. I pulled out some new pins since it's a silk blend, hoping to put the least amount of holes in it. Using my new scissors was a dream. They are arthritic shears with a spring to assist. Good bye weird thumb bump! And I figured if I spend 15 bucks on a pair of scissors I should have them my whole life...right into my arthritic years. I got to run to a family dinner, but I've been working on a super awesome project that I hope to post tonight or tomorrow.